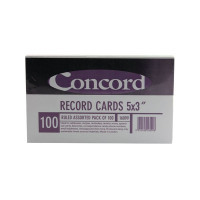 Concord Record Cards have a multitude of uses including revision, prompts, archiving, indexing and storyboarding. 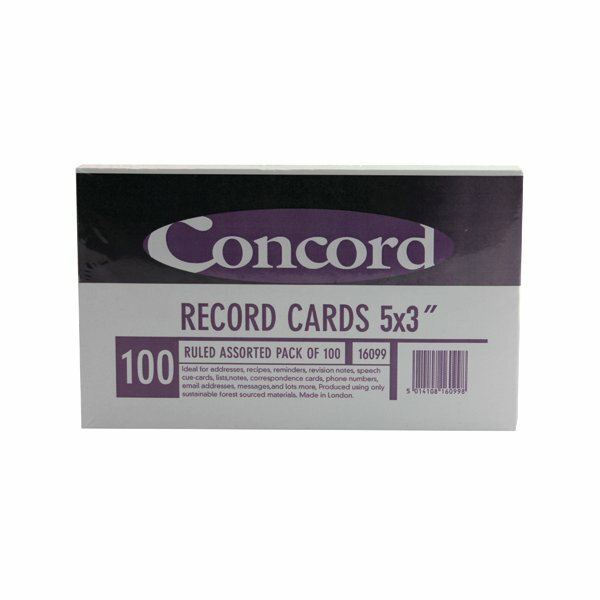 Manufactured from 230 micron board, these records cards are of high quality and sturdy enough to last as long as you need them without losing integrity. They can be written on by hand or typed for further clarity. Supplied in a pack of 100 in assorted colours (25 each of blue, pink, green, and yellow), you can colour code your notes or create accurate records of information.